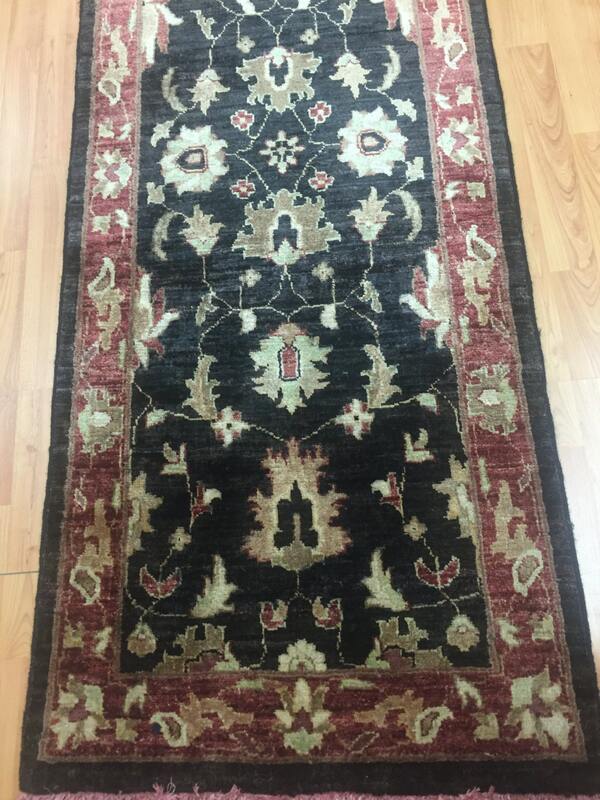 Actual Size: 2'4" x 16'6"
This gorgeous Oriental rug is a brand new 2'4" x 16'6" Pakistani Peshawar floor runner with an Agra design. 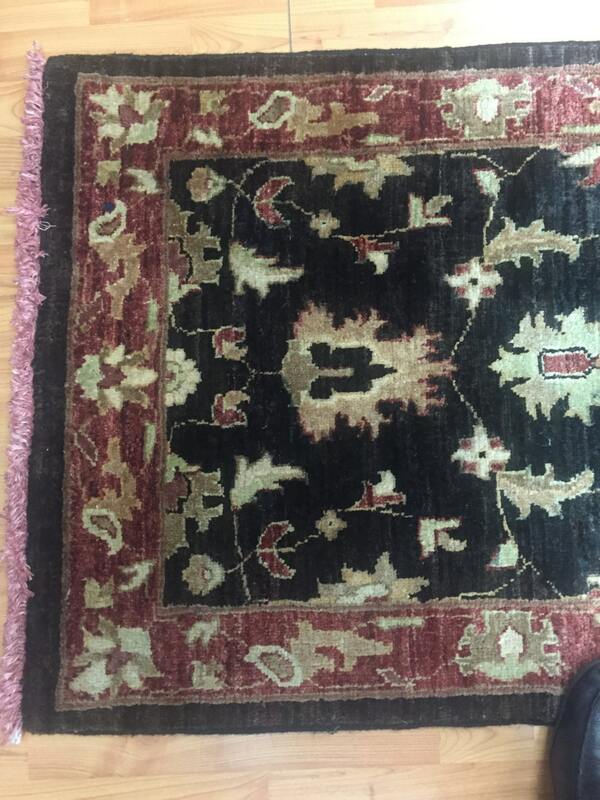 This hand made Pakistani rug is made using vegetable dye and is made with 100% wool. Carpet weaving was introduced into the area of present-day Pakistan as far back as the Mughal Empire in the early sixteenth century. Under the patronage of the Mughals, Indian craftsmen adopted Persian techniques and designs. Carpets woven in the Punjab at that time (often called Lahore carpets today) made use of motifs and decorative styles found in Mughal architecture. During the Mughal period, the carpets made on the Indian subcontinent became so famous that demand for them spread abroad. The carpets woven in Lahore were the first to reach European markets, including England, as far back as Seventeenth century. 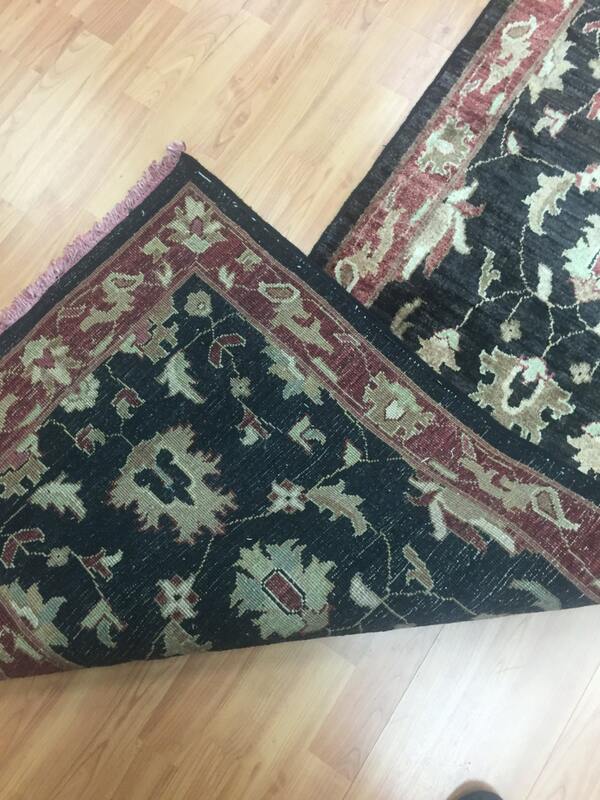 At present, hand-knotted carpets are one of the Pakistan's leading export products. 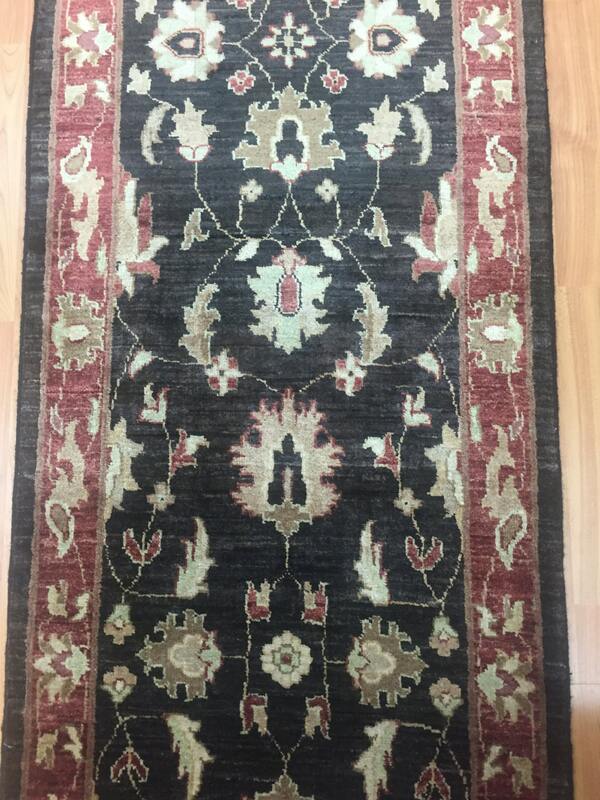 Hand-knotted rug manufacture is Pakistan's second-largest cottage and small industry. 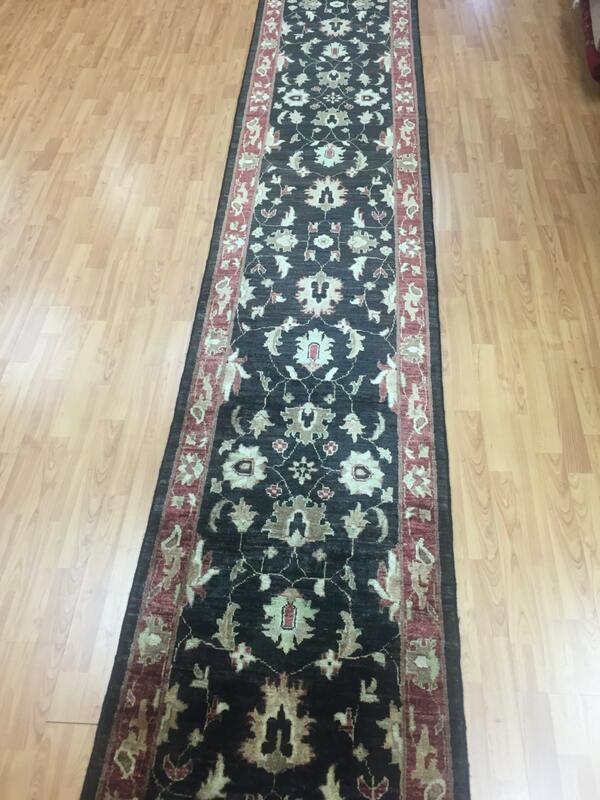 The craftsmen have the capacity to produce any type of carpet using all the popular motifs of guls, medallions, paisleys (botehs), traceries, and geometric designs in various combinations.